Over thirty of our clients joined us on an exciting cycle challenge consisting of one day, two groups and two routes. The first completing the 75miles 3,500ft route in just under ***** and the second, 125mile with 6,000ft elevation in around 7.5 hours. Our event has succeeded in raising over £11,000 for the Care Workers Charity, which helps current, former and retired care workers when they fall on hard times. From London to the Cotswolds, the rides were followed by a charity auction, drinks sponsored by Chase Distillery and dinner. Sponsors of the event included Caring Homes and Octopus Healthcare. “incredible day with unwavering effort from all involved – sweat, blood and tears went in, an £11,000 donation and a band of brothers came out”. There are around two million care workers in the UK caring for some of the most vulnerable people in society. Care work involves early starts, long hours and can be physically and emotionally demanding and when that is coupled with an injury or an illness, people can go into a downward spiral both financially and mentally. 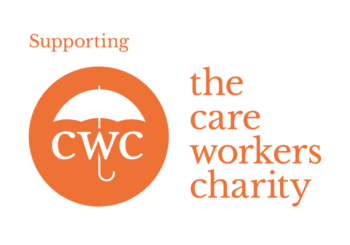 The Care Workers Charity was set up back in 2009 to give help to some of these care workers. Trustees for the charity are Davina Ludlow, director of carehome.co.uk, Avnish Goyal, managing director of Hallmark Care Homes, Martin Green, chief executive of Care England, Anita Goyal, director of events at the Hemraj Goyal Foundation, Vernon Baxter, managing director of Health Investor, Adam Hutchison, managing director of Belmont Sandbanks Care Group and Richard Hawkins, editor in chief of Caring Times.